Repco Home Finance recruitment 2017-18 notification has been released on official website www.repcohome.com for the recruitment of 01 (one) for Credit Officer Vacancy. Walk-in-Interview 23rd December 2017. Here on this page you will get the details like the Name of vacancies released by Repco Home Finance with exact number of posts. 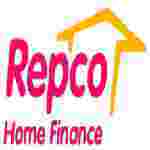 Some other criteria like Education details, application fee and way to apply application for Repco Home Finance recruitment 2017. Interested and eligible aspirants may appear for Interview along with 2 seta of bio-data, all original testimonials and last 3 months pay slip along with 1 set of photocopy of all documents, 2 color passport size photos, 1 KYC documents at the time of Interview. Venue: Repco Home Finance Limited Corporate Office, 3rd Floor, Alexander Square, No.2, Sardar Patel Road, Guindy, Chennai – 600032.